Question: This patient had an LAD occlusion and received a stent. How long ago do you think the myocardial infarction occured? 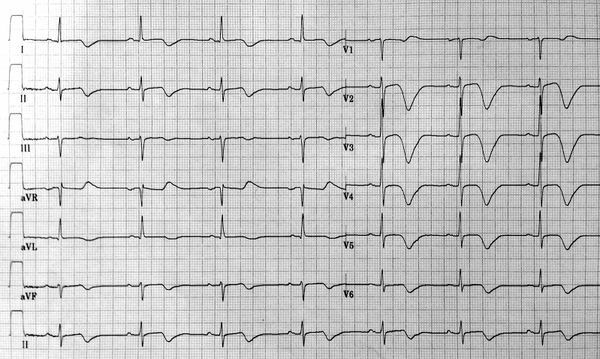 C: Deep negative anterior T waves with QT prolongation are a common finding in the first days post myocardial infarction. This page was last edited on 20 December 2012, at 10:51.